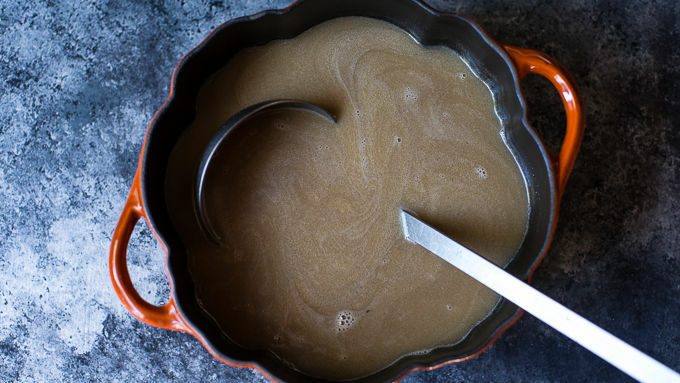 Combine the butterscotch sauce, apple cider and bourbon in a large pot and cook over medium heat until steaming, about five minutes. Stir in the ginger beer and cook another 1-2 minutes or until warmed through. Remove from heat and stir in butter and vanilla. Ladle into mugs. Serve with whipped cream and cinnamon. To make this kid-friendly, simply omit the bourbon and sub ginger ale for the ginger beer. To make a pumpkin version, add 1/3 cup pumpkin puree to the mix. 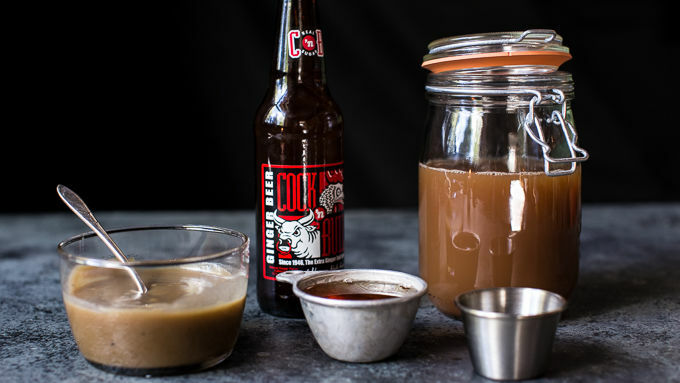 Don’t Muggle Around with this Bourbon Butterbeer! I don’t think I could be much more exited about this drink. I am kind of a HUGE Harry Potter fan and I’ve always wanted to make Butterbeer. Clearly I am so happy that day has finally come AND that I get to share the recipe with you! It’s truly a good one, and it's spiked with bourbon for a little adult fun. YEAH! So with Halloween approaching quickly, I thought a Harry Potter inspired drink was surely in order. To me, nothing screams Halloween like Harry Potter. 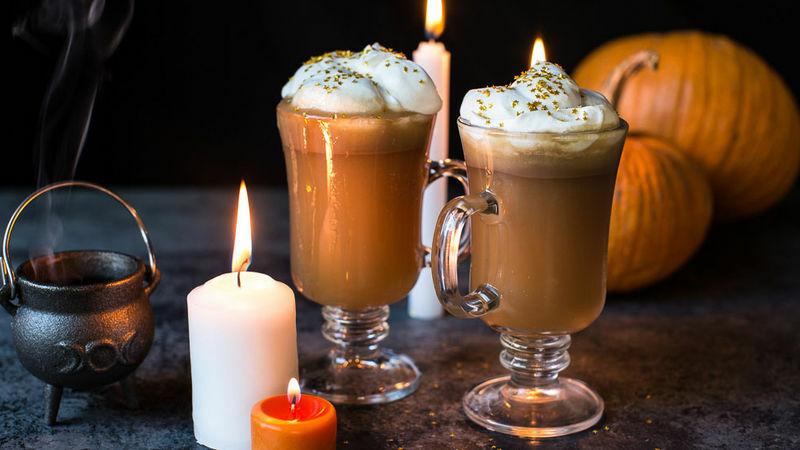 I mean, Harry Potter is all about magic, villains and odd goblin like creatures, so this recipe couldn’t be more perfect for a Halloween Party punch bowl or just a fun and easy drink to make on a Friday night with friends. It’s SO simple and uses no odd ingredients. Top with whipped cream and maybe some fun gold stars too! Drink up!! Perfect way to toast October if you ask me! Cheers!